Sony has added a new digital music player to its Walkman series code named Z1000. 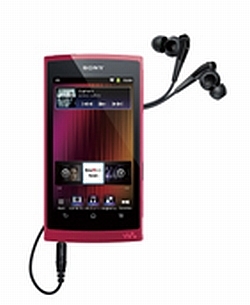 The new music player runs on the Android OS and is Sony's most advanced Walkman offering till date. The device has a 4.3 inch LCD display (480x800 pixel resolution) and runs on the Android 2.3 (Gingerbread) operating system. It has an Nvidia Tegra 2 mobile dual-core CPU and comes with "S-Master MX" sound processing which according to the company will provide better audio performance and digital noise-cancellation. Users can choose between 16GB, 32GB and 64 GB of internal memory (like in Apple's popular iPod Touch). The device also has a "W" button, pressing which launches the music player application. But the device is much more than a simple music player; the device can handle multi-tasking and with the device, users can access the internet, watch high definition (1080p) videos and play video games. Additionally the device is DLNA capable so it doesn't require a wire for connecting and playing multimedia content on other DLNA capable devices like TVs and speakers among others, although an HDMI port has also been provided for connecting via wires. The Z1000 will be priced at JPY 28,000 (around Rs 17,500) for 16 GB, JPY 33,000 (around Rs 20,500) for 32 GB and JPY 43,000 (Rs 26,500) for the 64 GB version of the music player and will be made available in Japan from 10th December, 2011. The Indian launch date and price are not yet available. The Apple iPod touch of the same storage capacity costs Rs 15,400 (16GB), Rs 19,900 (32GB) and Rs 25,900 (64GB), so the Z1000 is a little costlier than the iPod touch. Sony has always been one of the leading brands when it comes to music players, but the earlier models were nothing great in terms of other multimedia functionality (OS, multi-tasking, internal storage etc); it seems all that is about to change with Z1000. One look at the device and one cannot help but wonder whether this is Sony's answer to Apple's iPod touch. While the iPod touch runs on Apple iOS, Sony have chosen to opt for its biggest competitor in the market, Android. The internal memory offered by Sony is also similar to that offered by Apple and by adding a bigger screen (4.3 inch compared to iPod's 3.5 inch) and an HDMI port; I guess Sony is trying to one up Apple. Also, since it runs on Android and can be used for playing video games, my guess is that it will allow users to access the Android market and download applications from it. If that happens, then we can expect the Z1000 to provide the much needed challenge to the iPod touch.